Hello Dear Readers! 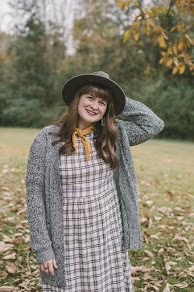 My name is Rae Veda and I blog over on An Eclectic Heap. I'm so honored Dawn asked me to guest post and I'm so excited to be here! 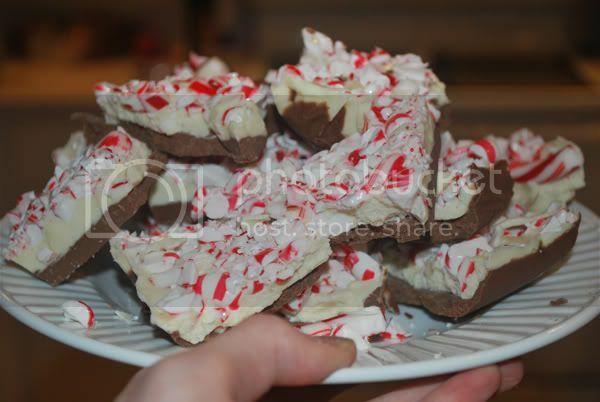 Peppermint bark is one of my favorite holiday treats. Not to mention… It's so easy to make! Let's get started! 1. 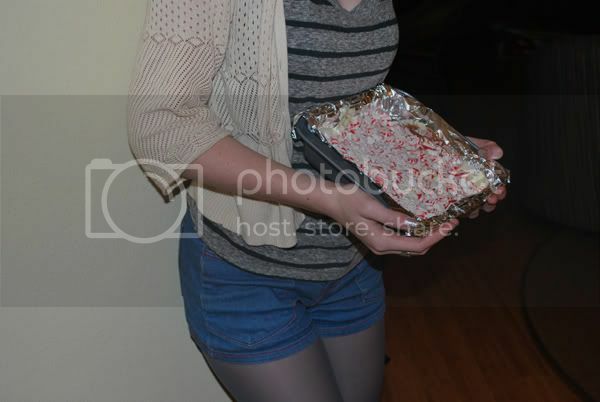 Line pan with tin foil and set aside. 2. Put candies in a bag & crush. Set aside. 3. 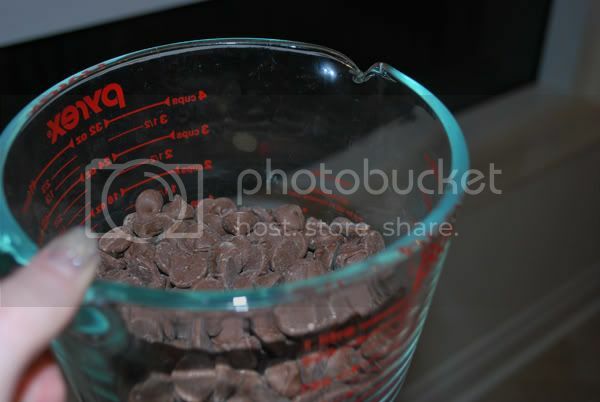 Put dark chocolate chips into one bowl and white into another. Warm up in the microwave (separately) in 15 second intervals until melted completely. Don't do more than 15 second intervals because chocolate burns easily. 4. Pour dark chocolate in first and let harden. I put mine in the freezer to make the process go faster. 5. Repeat with the white chocolate. 6. 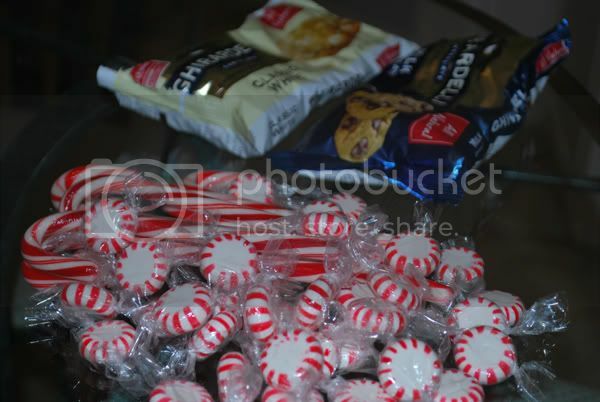 Sprinkle on peppermint and toss back in the freezer. 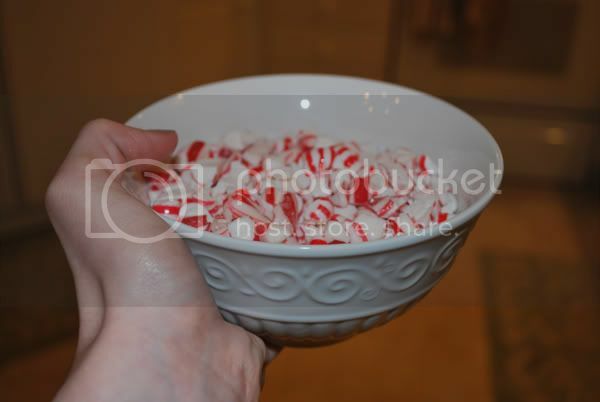 Let harden and then break into bite sized pieces when at room temperature.